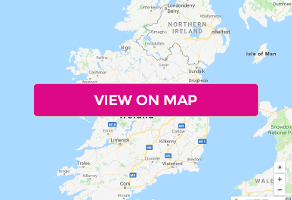 Indulge in a Dermalogica Facial designed to smooth out the skin, with an option to Upgrade to 90-minute Pamper Package with Facial, Massage, Eyebrow & Eyelash tint, and Eyebrow shape at Diamond Beauty Clinic, Phibsborough. Dermalogica 30-minute Express Facial - Your facial includes a skin analyzation, double cleanse, exfoliation, face and décolleté massage, a mask appropriate for your skin, serum, and moisturizer or sunscreen. The skin regains its strength and natural immunity against daily aggressions. 90-Minute Pamper Package: Dermalogica Hydrating Facial with face massage, neck and shoulder massage, eyebrow & eyelash tint, and eyebrow shape. At Diamond beauty clinic you will find everything you are looking for to make you look and feel great.The salon is situated 17 Berkeley Rd. Dublin 7. They offer the highest possible standard of treatments including Venus Freeze dermalogica and Juliette Armand skin care treatments & much more.